Yesterday we let you know that the HTC One X was most going to be scooped up one or more Canadian carriers and but we didn't see this one coming. HTC will be taking Canada by storm as the full line of announced phone One X, One S and One V will all be headed to multiple carriers in Canada. Check out the full listings after the break. First for the showstopper, the HTC One X will be headed to Rogers in what seems to be an LTE Exclusive. 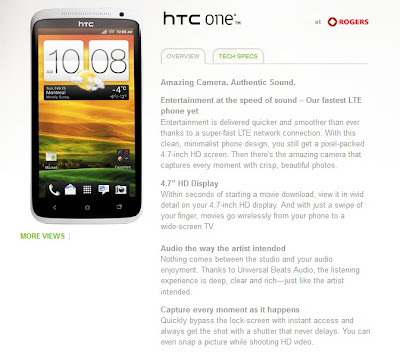 The Rogers version will be the 1.5GHz Dual-Core Qualcomm Snapdragon LTE version (not the Quad Core Tegra 3) with 1GB of RAM, 16GB of on-board storage and a 4.7-inch Super LCD 720p HD Display. 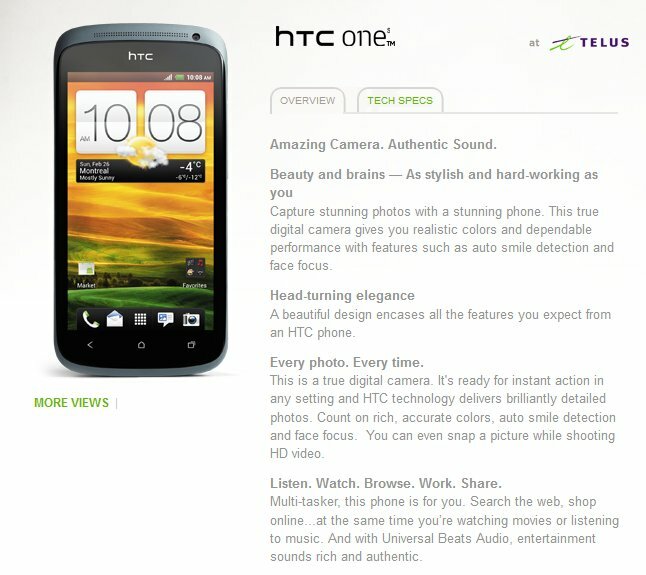 It's packing an 8MP camera with HTC super fast camera software. 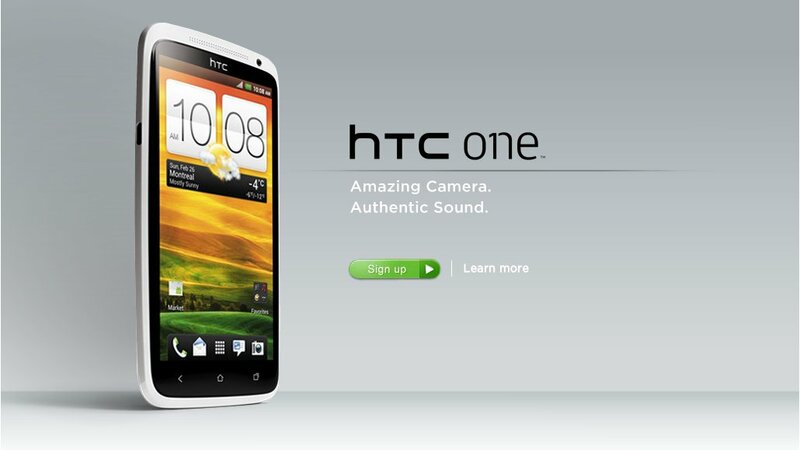 The next phone announced by HTC at MWC was the One S. The One S sports a 4.3" qHD Super AMOLED with a qHD 960x540 resolution. 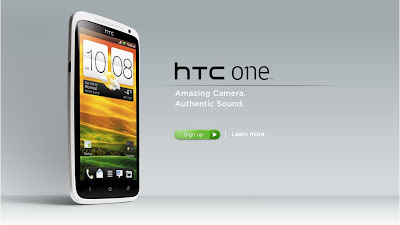 At 7.9mm thin this is HTC's thinnest phone to date. It is equipped with a 1.5GHz Dual-Core Qualcomm Snapdragon CPU with 1GB of RAM, 16GB of on-board storage and is capable of Dual-HSPA 42mbps download speeds. It's also packing an 8MP camera with HTC vastly improved and super fast camera software. The One S will be headed to Bell, TELUS, Virgin and Fido. 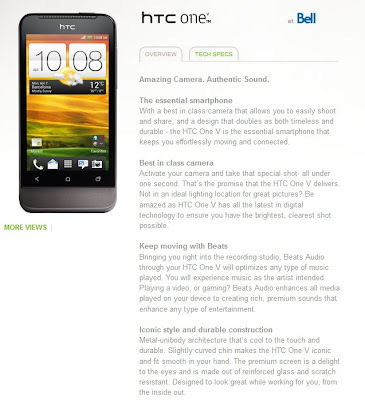 Last but not least is the HTC One V, something of a spiritual successor to the HTC Legend, it's only fitting that the One V be headed to Bell who launched the Legend a few years back. Like the HTC Legend when it was launched aside the original HTC Desire, the One V will be more of a value priced phone sporting lower end specs. The One V is equipped with a 1GHz Qualcomm Snapdragon Processor with 512MB of RAM and 4GB of internal storage and is sporting a 3.7-inch Super LCD2 screen at 480x800 resolution. 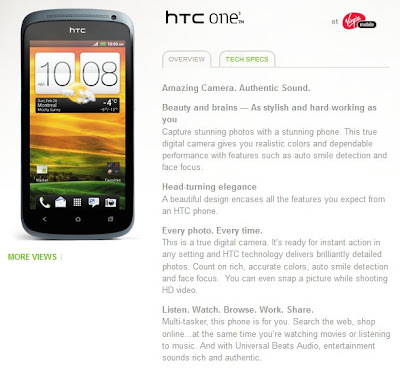 It also has a 5MP camera (unlike the 8MP on the One X and One S). Oddly enough the One V is listed on the HTC website as a CDMA device, we aren't sure whether this is accurate or simply a typo. [Edit:] It seems like the One V will be a CDMA device as it's headed to several CDMA carriers in the US. All of the One series phone are equipped with Beats Audio technology and will also include HTC improved camera software. We'll keep everyone posted on news as it trickles in. Also worth noting an AWS capable One S is headed to T-Mobile, so we expect WIND, Mobilicity and Vidéotron to pickup the One S as well.